Lawn mowing in undoubtedly one of the most important gardening tasks you are supposed to perform. Overgrown grass requires you to take care of it, but if you are unwilling to spend your time performing various tasks in the garden, you can always rely on our professionals to give you a hand and do the job for you. 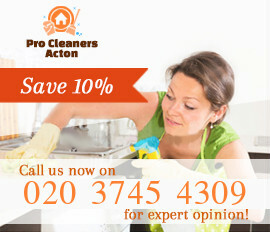 Our company delivers a variety of gardening services in W3, Acton and the other Greater London areas. 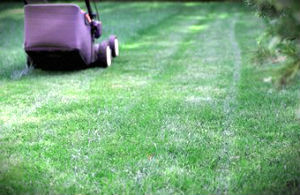 Booking a lawn mowing or any other service with us means you can rely on accuracy, top quality and affordability. We take pride in taking care of a great number of gardens, located in W3. According to our customers, nothing compares to the quality of each and every gardening procedure we deliver. We employ a team of skilled gardeners and we have provided them with the most powerful gardening machines and the best tools. Once they are done with the lawn mowing or the other services you have arranged them for, they will also take care of the waste and it will be disposed in an environmentally – friendly manner. In addition, every loyal customer receives an appealing bonus. It has never been easier to have a beautiful garden and a well-maintained lawn. 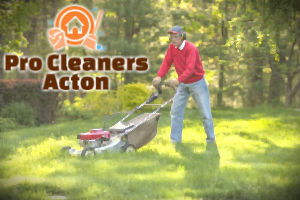 You just have to contact us and get familiar with the details about the one-off and regular lawn mowing and gardening services we provide in Acton. Let out professionals take care of the gardening tasks and you will not regret choosing us. Contact our operators and make a booking with us.